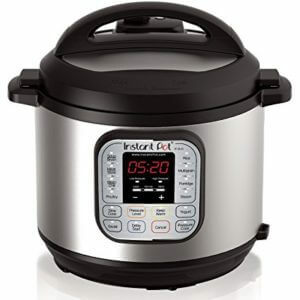 No doubt the Instapot has made our cooking life so easy and we prefer to cook most of the meals in it as it is quick and easy to use. As it is used on regular basis and sometimes turned on for weeknight meals so it needs to be clean properly. 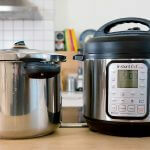 In this article, we will provide you with a simple guideline to clean the Instapot. Generally, the steamed and baked food stuck in the pot and especially the smell stays in its silicone ring. 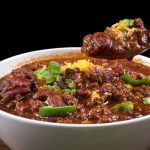 For this reason, we will explain some tackle ways to eliminate the stubborn smell and food stuck in your electric instant pot. 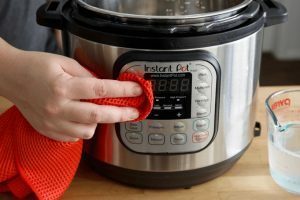 Following is the step by step guide to clean the Instapot. 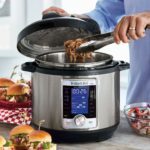 The first and foremost step is to clean the base which is the heaviest part of the Instapot which dwells the stainless-steel tub. Yes, don’t forget to unplug your Instapot for obvious safety reasons. After removing the inner base, keep it aside and take a clean damp cloth to wipe out the heating element, inner base, and its rim. One useful tip is to use a pastry brush to clean this aperture. Once you have done with this, take a dry cloth and tap it again with a dry cloth to save it from rusting. As you bake or roast hard meats, the batter can stick to the stainless pot which can make it untidy and smelly. Scrubbing is the best way to clean the blueish stains and stuck-on food. The clean the blueish stains simply soak the pot in white vinegar for about 5 minutes and rinse it. In addition, to get rid of the stuck-on food soak the pot in warm water by adding dish soap. This tip easily softens up the hard build-up food particles so that you can scrub them with sponge easily. 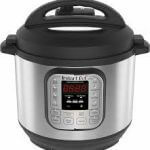 The thick oils, fats, aromatic seasonings, and liquids nurtures to settle down into the Instapot lid and gaskets. In this case, counter checks the steam valve and red float valve if they are free to form all sorts of debris and food deposits. It is important to clean the silicone sealing ring by removing it. If you want to get rid of the strong odours then wash it separately in the dishwasher. Similarly, the high-temperature sanitize remove all the unpleasant odours. If you cannot do the above-mentioned procedure than soak the untidy silicone ring in vinegar for overnight. As you know the vinegar is a natural odor eliminator and it will detoxify the stuck oil from the silicon ring as well. Apart from the inner part cleaning it is important to clean the outside of the Instapot as well. Simply, use the damp sponge soaked in the dish soap and clean the outside of the pot. After all, cleaning makes it sure to fix all the parts of the Instapot to attain the proper seal.